New flippable design lasts twice as long! Stop wasting valuable range time taping or stapling targets! Now double the product life with flippable design! No more wasting valuable range time messing with tape or staples! Clip & Shoot 3 indoor reusable target holder allows for quick, easy, and clean placement and removal of your targets in just about any indoor range carrier system. The Clip & Shoot 3 also drops the aim point and greatly reduces the chance of stray shots hitting the target carrier or ceiling. Made from ultra durable coroplast that doesn't easily break down after multiple shots like cardboard. 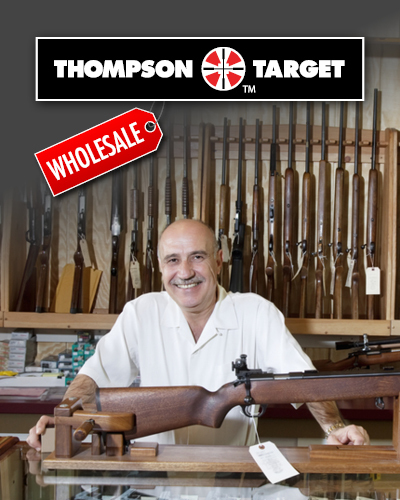 Thompson Target's Clip & Shoot 3 also holds target securely in place even after many uses. Clip & Shoot 3 measures 18.5" wide x 15" tall. Iron Man - Iron/Open Sight Paper Shooting Targets - 19"x25"
HALO Checkers Shooting Game Targets - Reactive Splatter 12.5"x19"